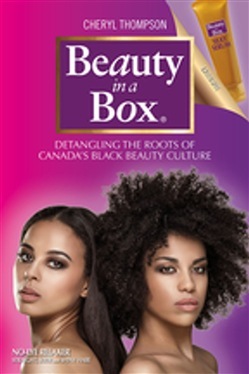 One of the first transnational, feminist studies of Canada’s black beauty culture and the role that media, retail, and consumers have played in its development, Beauty in a Box widens our understanding of the politics of black hair. The book analyzes advertisements and articles from media—newspapers, advertisements, television, and other sources—that focus on black communities in Halifax, Montreal, Toronto, and Calgary. The author explains the role local black community media has played in the promotion of African American–owned beauty products; how the segmentation of beauty culture (i.e., the sale of black beauty products on store shelves labelled “ethnic hair care”) occurred in Canada; and how black beauty culture, which was generally seen as a small niche market before the 1970s, entered Canada’s mainstream by way of department stores, drugstores, and big-box retailers. Beauty in a Box uses an interdisciplinary framework, engaging with African American history, critical race and cultural theory, consumer culture theory, media studies, diasporic art history, black feminism, visual culture, film studies, and political economy to explore the history of black beauty culture in both Canada and the United States. Acquista Beauty in a Box in Epub: dopo aver letto l’ebook Beauty in a Box di Cheryl Thompson ti invitiamo a lasciarci una Recensione qui sotto: sarà utile agli utenti che non abbiano ancora letto questo libro e che vogliano avere delle opinioni altrui. L’opinione su di un libro è molto soggettiva e per questo leggere eventuali recensioni negative non ci dovrà frenare dall’acquisto, anzi dovrà spingerci ad acquistare il libro in fretta per poter dire la nostra ed eventualmente smentire quanto commentato da altri, contribuendo ad arricchire più possibile i commenti e dare sempre più spunti di confronto al pubblico online.